The good, the bad and the.. Demonic! For those of you that caught the trailer, which itself was fantastic, at the end of my 'Kung Fu Panda goes WoW' post earlier this month, here is the final product. More to the point, here is the review. After such a top notch trailer, and having been in production for 5 years (since the early stages of the game) of course, I felt this, like any real box office film, deserved some attention. It important to bear in mind that; this is made purely for entertainment. The author(s) are not being paid to go out of their way to make this. It is a fan-made creation. So respect the hard work and commitment, of Fubarius and his team. Keep reading and drop a comment! 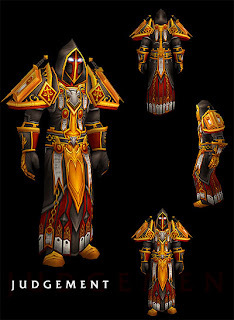 What you Mogging' at, Deathwing!? 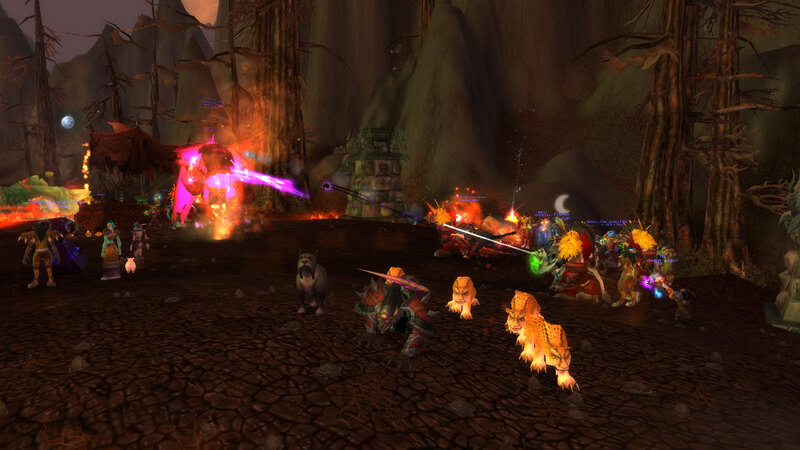 Now, since Blizzards initial announcement of 4.3, the community, on all sides, has caught fire. Whether it's jumping for joy, sitting on the fence, or raging that "your never logging in again", there has been a variety of opinions throughout. 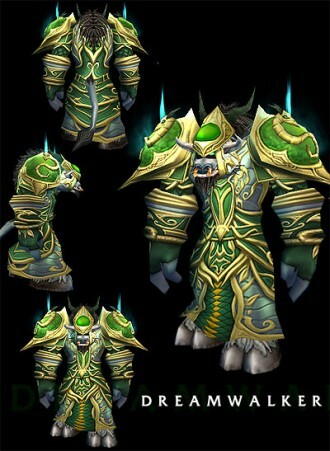 Some, such as Fannon, feel that this is make-or-break for the World of Warcraft, in his post Previewing Patch 4.3. Sadly, as much as it pains me to say, I feel he has a good point. 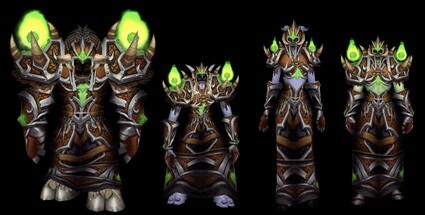 No matter how much I would like to deny it, I see this being the possible decider in the future of WoW. Especially with a number of big MMO games, which seem a world apart from past copy-cat attempts, on the horizon. So will Blizzard pull something magic out of the hat, like it has done repeatedly and successfully over past years? Who says we can't raid?! You’ve been asking for it, and we were listening. 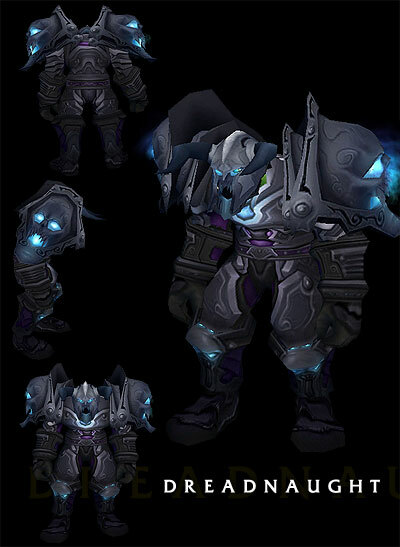 In patch 4.3 you’ll be able to customise the appearance of your weapons and armor like never before. After some research, it appears that the Etherals are at the center of all this madness. 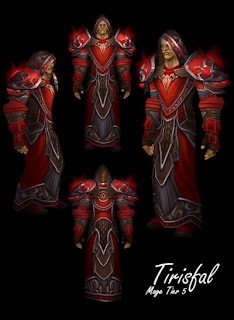 It has been quoted that they will be making a impacting return to Azeroth. Maybe not in the usual 'destroy the world' sense though, alike every other addition to the world. Travelling from the far reaches of The Nether, these Etherals are hoping to earn a fortune with a new technology they call 'Transmogrification'. In exchange for some gold (of course, what else?). Simply put; copying the appearance of one magical item onto another. They won’t allow you to change weapon and/or class specific/material armor types. 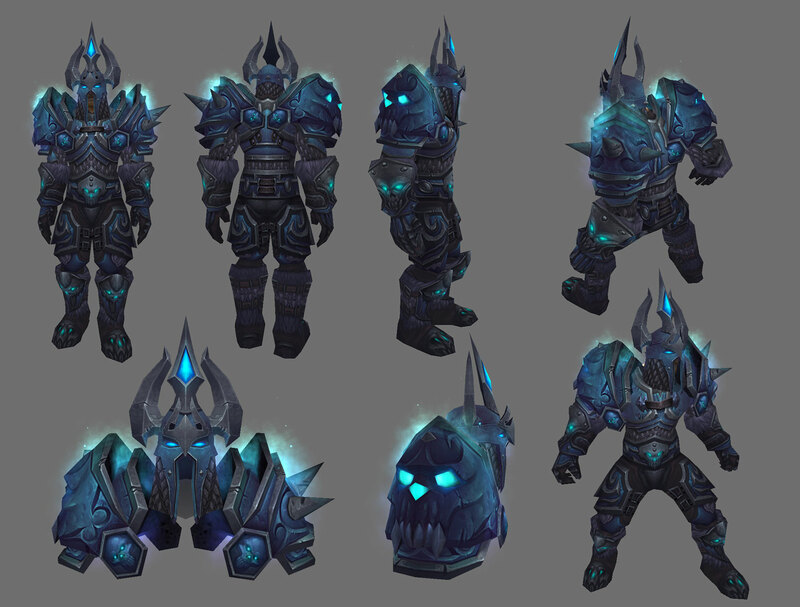 So no pretending to wear that Death Knights plate gear (I'm looking at you Mages!) 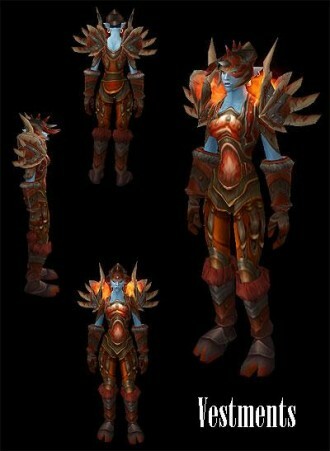 or equipping some librams for you warrior-want-to-be-shamans out there! 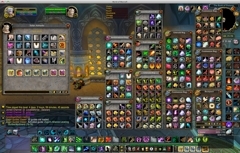 Item tooltips for items, which have been Transmogrified, will show that they are under the effects. This will be a reversible process. Blizzard have said they are looking into a way of obtaining gear, which has become unavailable over time, in an alternative manner. Any ideas? Time Machine? Just.. Where.. To put it all?! Although a small few are unhappy with what Blizzard has spent time producing (nothing new there), as they are apparently creating the wrong content? I am, however, really REALLY looking forward to this incoming feature! Suppose there's always those who can't be satisfied. (Not to say any are wrong in their thinking). 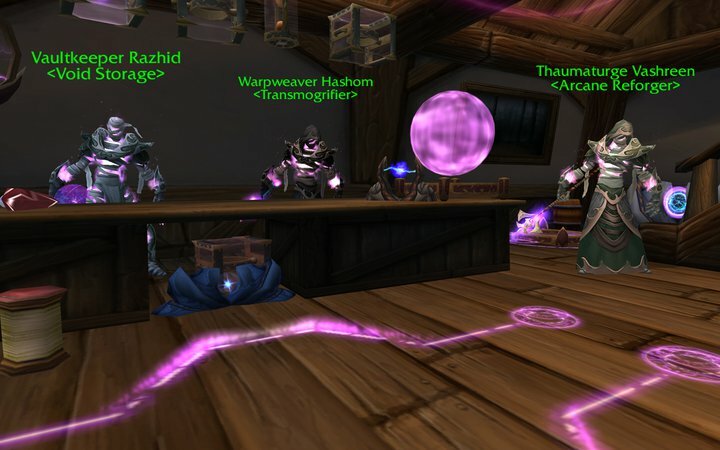 As has been quoted: "Transmogrification encourages players to hold onto items with sentimental or aesthetic value." But will the community sacrifice there, level 85 equivilent, 'status symbols'. 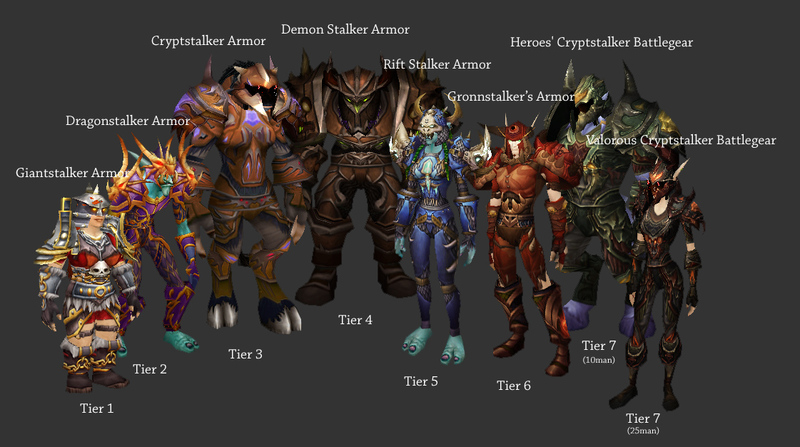 I'm one of those to build a sentimental value around particular items and, more so, armor sets. Mean, why not? Some look brilliant! This leaves some open, and great, opportunities and doorways for many characters. Such as Role players or those looking to look a part different from there allies (even enemies). I see this being a big step into creating a more in-depth character view. More diversity. Seeing and actually taking in what your fellow players are choosing to wear and such. I feel this move will benefit the growth of WoW. Etherals can see this causing an increase in the demand for space. So that is when 'Void Storage Service', will come into play. Using clever pocket dimensions to create 80 more slots for particular items (More than likely armor/weapons). Anything stored there will lose all gems and enchantments, and even name of the player who crafted the item. NOW TELL ME, WHAT DO YOU THINK? I'D LOVE TO HEAR WHAT YOU HAVE TO SAY? GOOD OR BAD! Deathwing raid (to be the last of the expansion). With some cool unique features apparently added to the fight. Seems a little soon right? 3 new 5-man instances will be added with the patch. Raid Finder also being added. Cataclysm Journal 29: Past the Gates of Ironforge! As we step through the almighty gates of the Dwarven prowess, we are swept with a spine chilling, yet entirely refreshing, breeze of wind. As though from somewhere far away. Looking down into the valleys of snow, with an abundance of near-perfect shaped trees (quite like Christmas ones), we descend down the long winding path. Into the wilderness of frost. Despite any of this, the music, which sets up each particular area, is generally slow and, in a way, thoughtful. As though it wants you, with the push of the wind, to look at yourself and take a breath. Not depressing that is, just settled, like the snow beneath our your feet. But hold on.. How can we forget the golden nugget of this whole zone! Saying that, it wasn't until Elfi, of World of Elfi (Convincing name again right? ), alerted us to a hidden beauty that can be found. 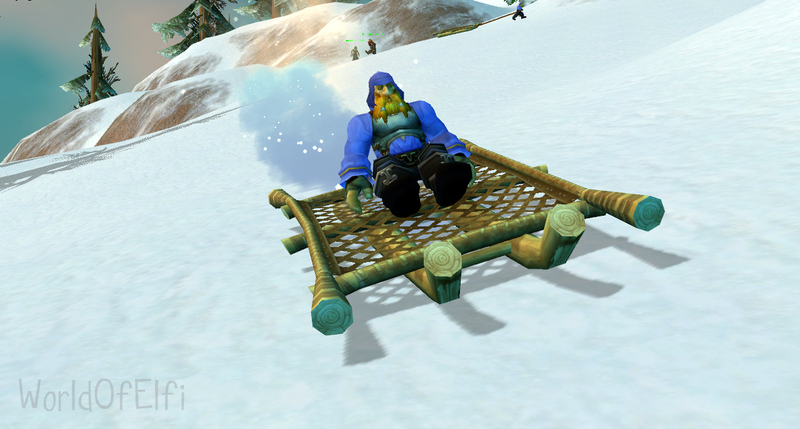 Seems that there is a bunch of crazy Dwarves, living the high life by sledding there way down the slopes of Dun Morogh. For more on this 'report' head over to - Discovery of Sledging Dwarves. Now, with that, it's once again time to depart. However before you go. I will repeat, that this post was inspired by one of our very readers. So if you have any suggestions, ideas or even requests that you would like to see, DO NOT HESITATE TO GET IN TOUCH! A Paranoid feeling sets in. Feignheart and myself, after many ventures alone together, have taken a valuable opportunity to broaden our horizons. Opportunities, to attack our horizons. 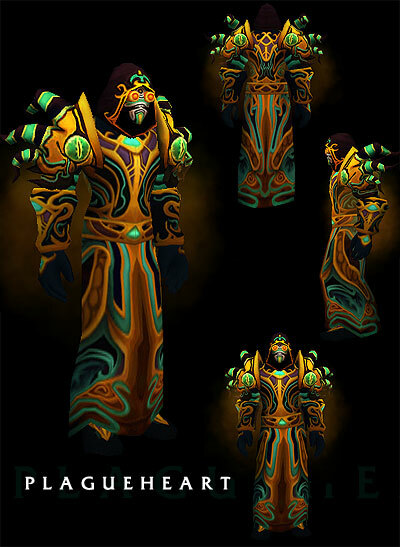 This follows a contact from a place called the Emerald Dream (EU). A contact who goes by the name of Döra. Döra the level 1 explorer. You may have heard of Döra from many of their aspiring, ever changing and unique challenges. Anyway, after some serious thought, we decided to pack up and move over to the Dream to join with Döra and a brave band of adventurers. 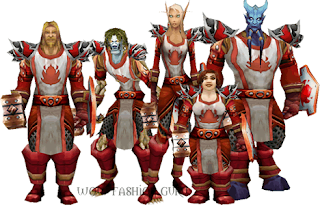 A mighty guild by the name of - Paranoid. Feignheart Gets Green Battle Tank?! 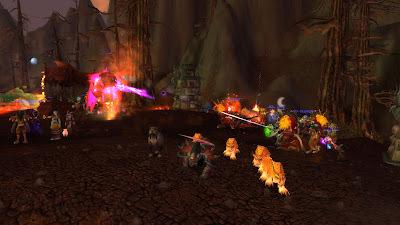 With this being the first real guild that we had been in, since the start of the Cataclysm, we were very curious as what to expect. All we can say is, we felt right at home from the very first 'Welcome'. We were greeted with such a warm and friendly atmosphere. Being just a level 4 guild at the time, which many see as a downside, just added to this effect. The feeling that we could be a part of leveling and contributing to the future of the guild, appealed in such a way to us. Everything we could desire from a this seemingly tight knit community. Of course it didn't take long for us to raise our first (paw) and jump into the fight alongside our new Brothers (and sisters of course). Can Worgens clench their paw?! Upon the completion of the Temple, there were a few points and items of interest. Firstly, we could see how particular bosses would have proved to be a huge challenge to vanilla players. Especially the twins and the EYEBALL OF DOOM (C'Thun). Secondly, we managed to grab our hands on a - [Green Qiraji Battle Tank] - which is very high on the epic/cool factor for us! Although we gained nothing physical, as such, from the raid, the experience was all worth the while. Even though it conflicts with present times (Ragnoros and all), a look at the past leaves us with a feeling of 'what was'. 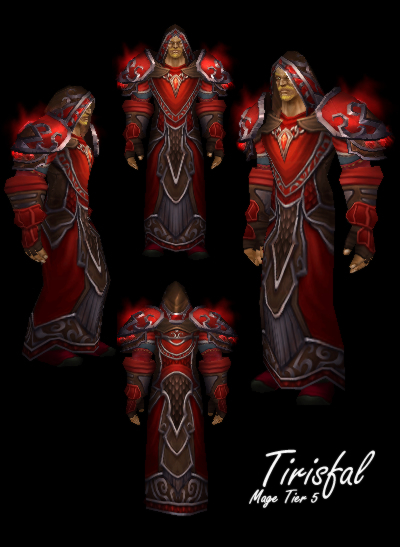 We look forward to taking the challenge to the fire lord once again, but for this expansion, in the near future. Now. What has this meant for Feignheart and myself. 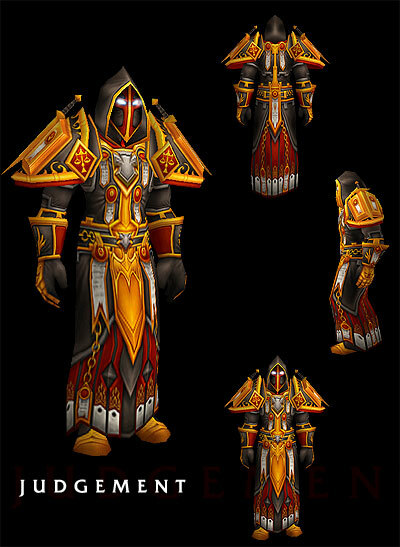 It has given us a huge insight into the older content which still lies dormant within the world of Azeroth. More than anything though, it has really opened our eyes to what it's like to fight alongside a mighty group of adventurers. We really feel so taken by how great it feels to become part of a bigger picture. I can truly say this is a guild I wish to stay. Having settled in very nicely, if we do say so ourselves, it's time to wrap it up. Though one last question: who else plays on the Emerald Dream (EU) Server?! Kung Fu Panda goes WoW? !